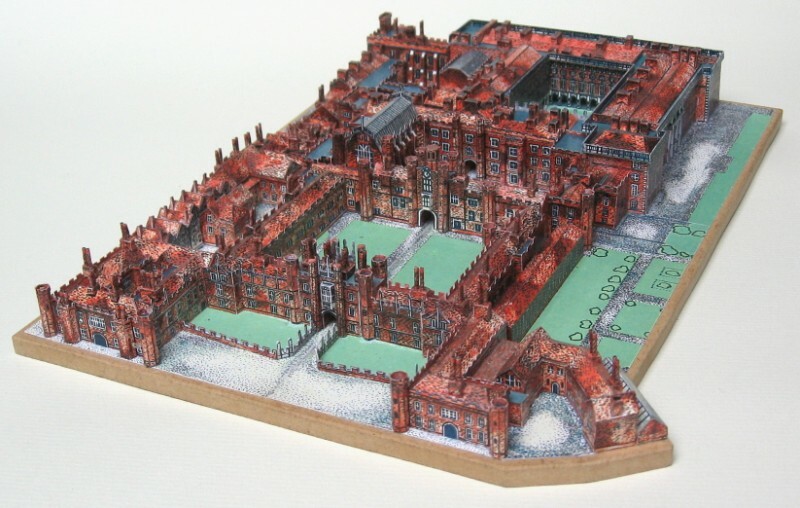 ARC XXI A Hampton Court Palace: Anne Boleyn’s Gate, Great West Gate etc. 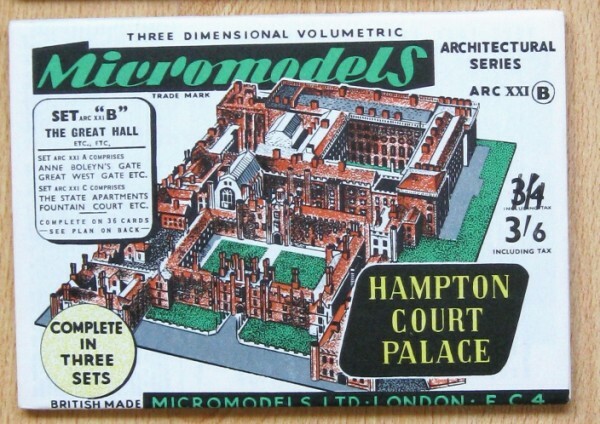 ARC XXI B Hampton Court Palace: The Great Hall etc. 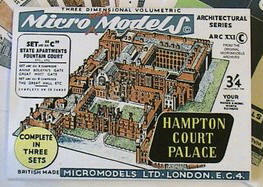 ARC XXI C Hampton Court Palace: State Apartments, Fountain Court etc. 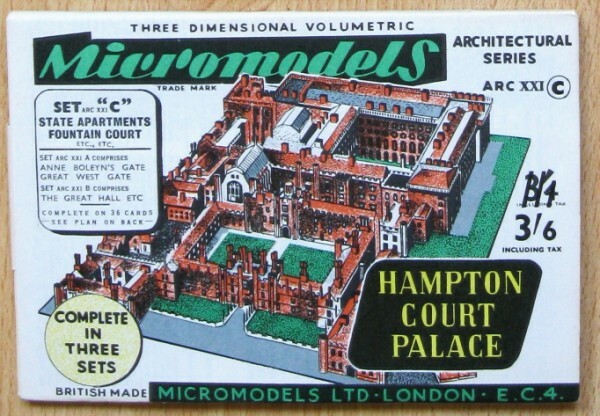 Description First and only printing was in 1954. 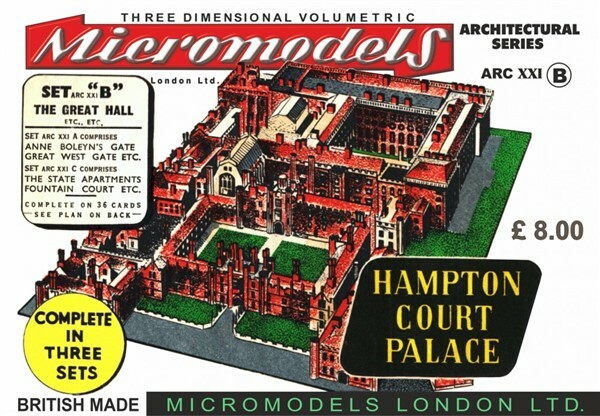 This was Micromodel’s largest model. 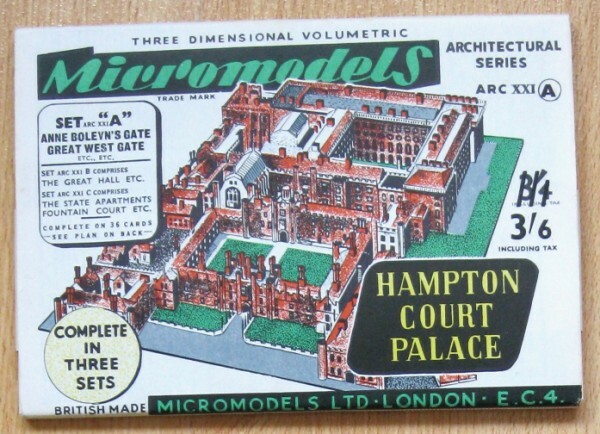 Each pack was sold separately at 3/6d, although interestingly each wrapper showed the price of 3/4d deleted. 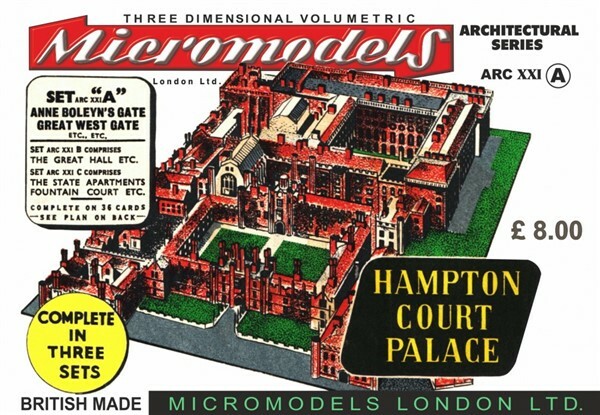 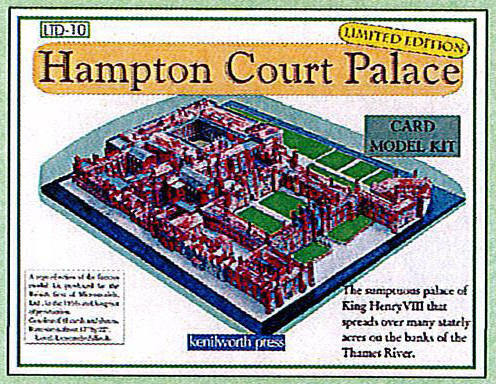 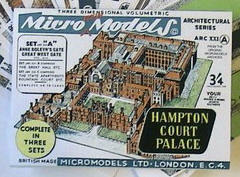 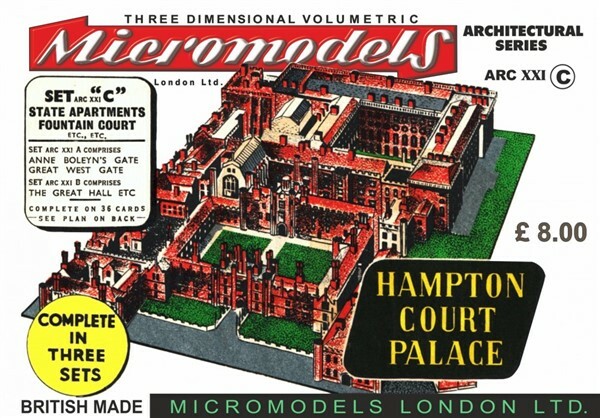 All three packs were required to make up a complete Hampton Court Palace model. 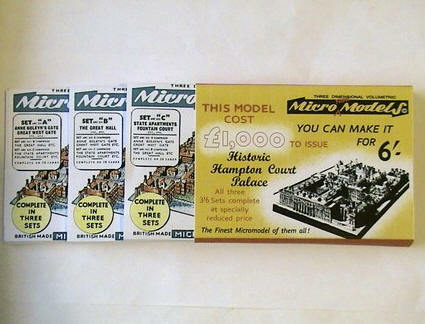 Micromodels also produced a master wrapper enclosing the A, B and C packs, which enabled the retailers to sell the model as a complete set. 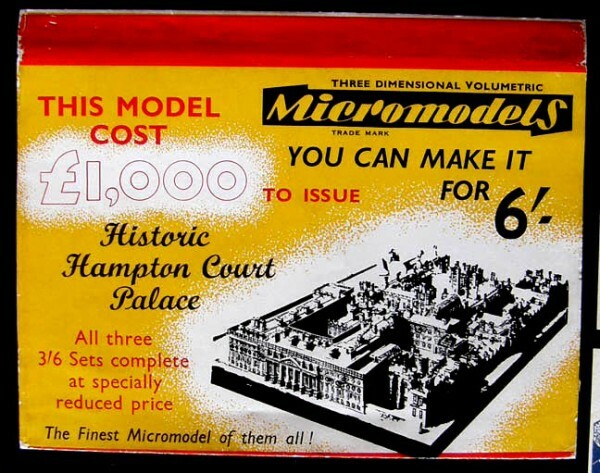 The price was reduced to 6/-d. On the front of the wrapper is the claim by Micromodels that this model cost £1,000 to issue. 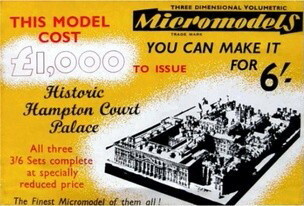 This master wrapper appears to have been first issued in 1955. 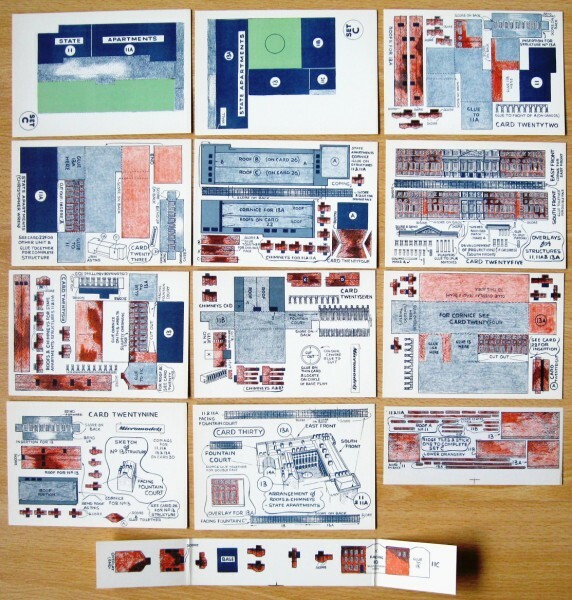 The standard of artwork of the packets is excellent. 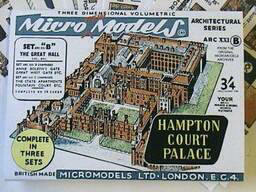 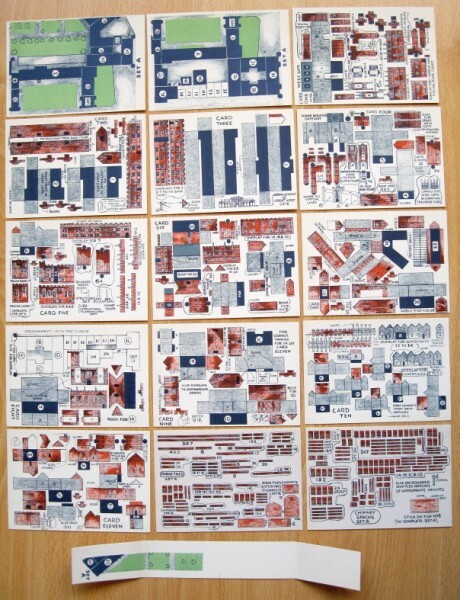 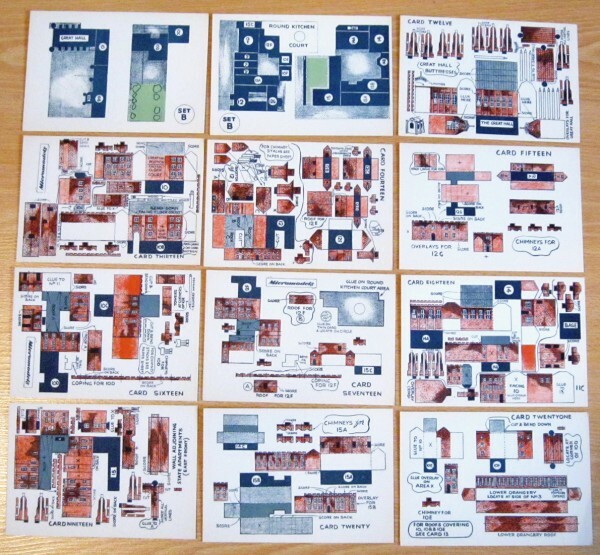 Autocaft and Micromodels London also published this set along with the master wrapper.